Joined 1st HAA Unit of The Trinidad Volunteers at the beginning of 1940. Son of Santiaga Roberts, Maraval. Age 25; Daughter is Merle Ursula Britto Lawrence, Moraldo St., Maraval. 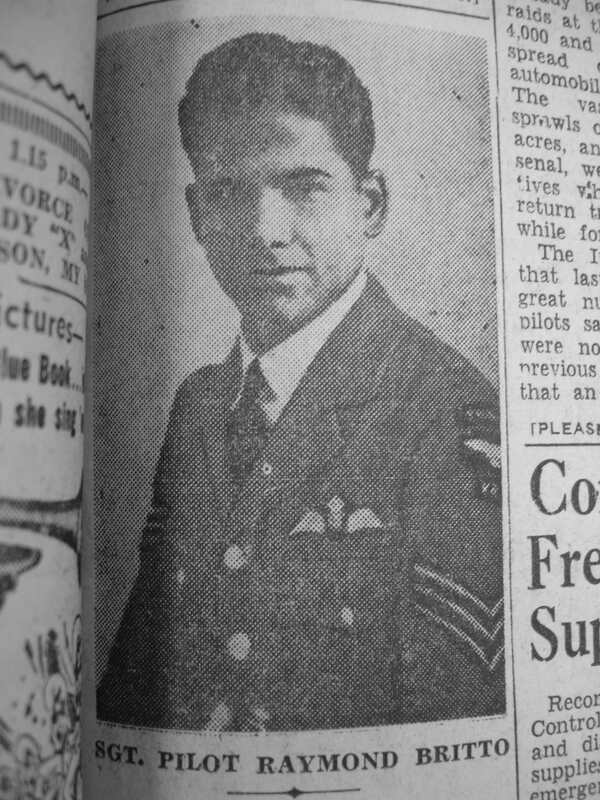 Killed on 2 Jan 1943 at 1430 hrs at Alston Down while flying Spitfire AR 240; Engine stalled, he attempeted to glide in but spun in hitting the ground near the watch tower building. Additional information: Son of Santiaga Roberts, of Maraval Village, Trinidad. Grave/Memorial Reference: Plot 5. R.C. Row FFF. Grave 15. Grand daughter. 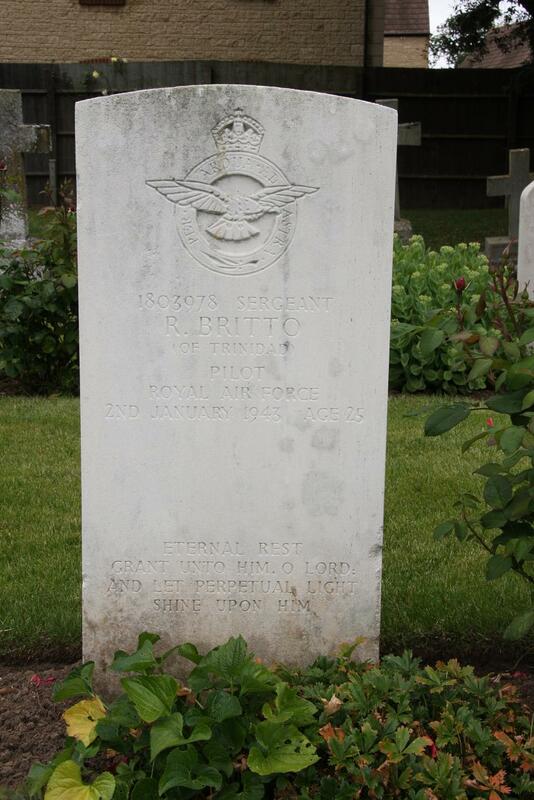 Trying to reach some one..about Raymond Britto died..